Sohalia is a name that means 'moon-glow,' and it's a very accurate portrayal of the fae. A snow-white pelt covers the majority of her lean, graceful bodice, fading to a light grey at her knees and muzzle. From a slightly dished face, one light blue eye and one light green eye can be seen, though her white forelock generally covers at least one of her eyes. A thick mane and tail match the forelock; her mane hangs long on her nape, and her tail almost touches the ground behind her dark, solid hooves. She has several scars from bites and kicks along her hips and withers, permanent memories of her short time as a captive. From her strong shoulders sprout large, owlish wings of pure white. Her build is similar to that of an Andalusian. Sohalia is a kind-hearted but tortured soul, scarred from a young age by the injustice of the world. In her youth, she was a curious, outgoing type, prone to wandering and exploring. However, she became a reserved, withdrawn mare who tends towards a quieter curiosity than that of her youth. She is more open and inviting than she used to be, though she still keeps her feelings well-concealed around strangers. She is very fond of learning, and generally goes to great lengths to gain a greater understanding on the universe and those who live in it. She longs to spread knowledge as a means of peace throughout the land. As she had grown older, she has come to recognize that complete peace will never be a reality, which has shifted her viewpoint on a number of things. She longs to be a good mother and mate, but feels quite often that she cannot live up to the standards that she has set for herself. She has found herself inadequate time and time again, and now hopes that she can find a place to create a lasting legacy. She is immensely proud of her children, though she feels they deserved a better mother. She relies on others, particularly on her mate, for approval, which pushes her through intense ups and downs as she alternately gains and loses his support. Though she strives to break free of this dependence, she habitually falls right back into it over and over again. Despite her good intentions, she tends to be an "all or nothing" kind of mare, depending on if life appears to be going her way or not. 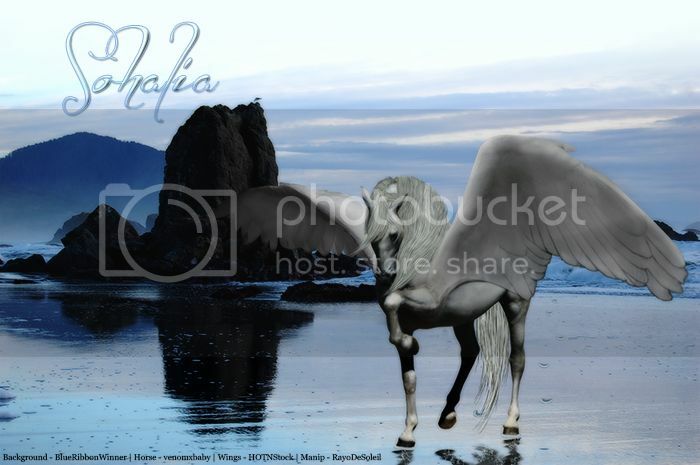 Sohalia was born in a herd only of Pegasi; this was not a rule of race, but rather a separation of species that was the norm in her former home. Her father was the herd's leader, a strong, capable stallion by the name of Ronak, a name meaning 'radiance.' And he was indeed radiant. He had several mates, of which Sohalia's mother, Lavani, was one. They were a very peaceful herd, and strongly anti-violent. Their offspring were precious to them, mainly because there were so few who survived. You see, the herd was heavily persecuted by the nearby Unicorn herd, who would often kill the young Pegasi in an attempt to drive the herd to extinction. Though the adults could simply fly away, the younglings were not as adept with their appendages, and therefore were an easier target. Shortly before Sohalia reached the weanling age, the Unicorns hosted a purge of massive proportions: a new member of their herd had magic, an unheard of danger to the Pegasi harem. This prevented them from flying, and many, including Sohalia's parents, were killed. The young filly was cornered by an older unicorn mare, who took pity on the foal and fled with the young Pegasus. She had only just lost her own foal to an unfortunate accident of which she refused to speak; as such, she was able to act as Sohalia's nursemaid until the filly was weaned. Akako's kindness showed Sohalia that even in the darkest places, light may still shine. When Sohalia reached the yearling age, Akako died suddenly of an unknown illness. The snowy Pegasus mourned, lamenting the loss of all who cared for her in the world; but she continued on, striving to carry her parents' and Akako's legacies with her, for they had only showed her kindness. To this day, Sohalia strives to mimic them. After the Unicorn's death, Sohalia wandered far and wide, falling in love with home after home but being run out each time, for various reasons. And so she arrives in Helovia, alone, morphed from the friendly, outgoing filly she once was into a withdrawn, quiet mare with a heart of gold but no way to show it. Sohalia entered Helovia and met Lace and Tor in the Deep Forest. The trio was attacked by wolves, giving her a very interesting first impression. After fleeing the attack and wandering for several weeks, Sohalia met a new friend, Rowan, and agreed to return with her to the Dragon's Throat. Shortly after, she traveled to the Veins of the Gods to ask the gods for a gift of magic. She was met by the Sun God, who sent her to find the name of a murder victim from the mouth of a murderer. Stopping by the Endless Blue, she met Phaedra and agreed to help the mare with her quest for a companion. Phaedra, in turn, introduced her to Note, a handsome stallion whom she rapidly came to like - or perhaps even love. As that was the goal of Phaedra's quest, they parted ways as friends. Sohalia traveled to the Windtossed Foothills, where Archibald the Dauntless gave her a name before chasing her off his herd's lands. Sohalia then traveled to the Veins of the Gods again to present the Sun God with the name. Finally, the mare found Rowan once more and finally accepted her place in the Dragon's Throat herd. Upon admission to the Throat, Sohalia offered Levi love advice before realizing that the object of his affections, Phaedra, was pregnant with another stallion's child. To escape this drama, Sohalia traveled to the Threshold, where she met Bahiya Al Hatal and Azeen. Having met the latter before, she was overjoyed to be reunited. Note was present to greet Azeen, and after having seen one another in the presence of a foal, they took some time alone to discuss their own future. Rowan soon found Sohalia for comfort, and they wound up discussing Sohalia's love and new pregnancy. Phaedra, too, discussed pregnancy with Sohalia. Sohalia was present for Phaedra's birthing; she congratulated her on two beautiful twins. Back home, she and Note met up to discuss the past. Sohalia opened up to him about her history, having never talked about it with anyone before. Shortly after, she gave birth to twins, but her firstborn was a stillborn. The heartbreak left her devastated for several months, despite Note's attempt at family time. Note disappeared a few weeks after their children were born, and Sohalia struggled to raise her living daughter, Skysong, alone after Note disappeared. She met Africa, who had a calming presence on the stressed mother. So, too, did the God of the Earth, who Sohalia happened upon one afternoon. During this time, the mare became the Dragon's Throat Forger. After working on the unfinished wall for several weeks, she received a gift of crystallization magic from the gods. Still, she was filled with pain, worry, and anguish, and a chance meeting with the warrior Gaucho led to a secret tryst. For the second time in so many years, Sohalia found herself pregnant. After a great deal of inner turmoil and debate, she told Phaedra and, finally, Gaucho about the unborn child. Sohalia met the other Forger of the Dragon's Throat early in Frostfall, before the beginning of the Endless Night. She stupidly extended her reach beyond herd borders in the darkness, traveling to the Threshold to greet Rasta and Apodis. She gave birth to her third daughter in the midst of the Endless Night on the borders of the Dragon's Throat while escorting Rasta and Apodis home. Sohalia and Rasta began to form a deep friendship, which helped the mare to cope when she lost her dearest friend, Rowan, to a seemingly random act of violence. After the Dragon's Throat was attacked by the unicorns from the north, Sohalia renewed her efforts to complete the wall. However, her efforts were in vain, for shortly after a heated meeting with Ampere, a brief conversation with Tandavi, a meeting with Phaedra in the Wilds, and an expedition to the Heavenly Fields, the entire population of Helovia was forced underground to avoid the darkness enveloping their world. Upon arriving in the Sanctuary, Sohalia was reprimanded by Gaucho for losing Zenobia. Sohalia was reunited with Note, with whom she no longer felt a connection. Gaucho challenged him for her affections, causing Sohalia to flee into the depths of the caves, where she was comforted by Rowan's ghost and Rasta before finding an egg that held a wakiya zephyr. She met Cashmere and talked to Megaera while wandering the caves. Darkness pervaded the land, keeping Helovia underground. Sohalia met Cheveyo and rescued Tandavi. Eventually, her zephyr hatched from his egg. She named him Astraeus. After the darkness passed and the herd returned to the Dragon's Throat, Sohalia attended a herd meeting led by Ampere and Africa. She resumed her position as Forger, reuniting with Cashmere to discuss crafting. As an upper-tier member, she was able to welcome Andromeda to the Dragon's Throat. Sohalia was not able to work on the wall for very long, however, for after one of the newly-named Sultanas, Ampere, disappeared, the other approached her and invited her into the position. Africa and Sohalia spent an afternoon making plans and discussing the future of the Dragon's Throat. Zenobia returned, prompting an emotional meeting. As Sultana, Sohalia welcomed Sacre and Sikeax into the herd. Gaucho reappeared after a prolonged separation, but had lost his memories; the ensuing fight reminded Sohalia that their passion still burned brightly, though it left her saddened and alone. Midas reappeared shortly thereafter to offer an alliance with his new herd, which the leading pair quickly accepted. Sohalia found Rasta in dire need of help, which she tried desperately to provide. A while later, she welcomed Serenity and Dalibor to the Dragon's Throat. Africa and Sohalia held a herd meeting to discuss the future. The gods seemed to take pity on the mortals then, for an island appeared in the sky over the Veins of the Gods - an island of peace and tranquility that offered all four herds a chance to mingle, trade, and discuss the future of Helovia. 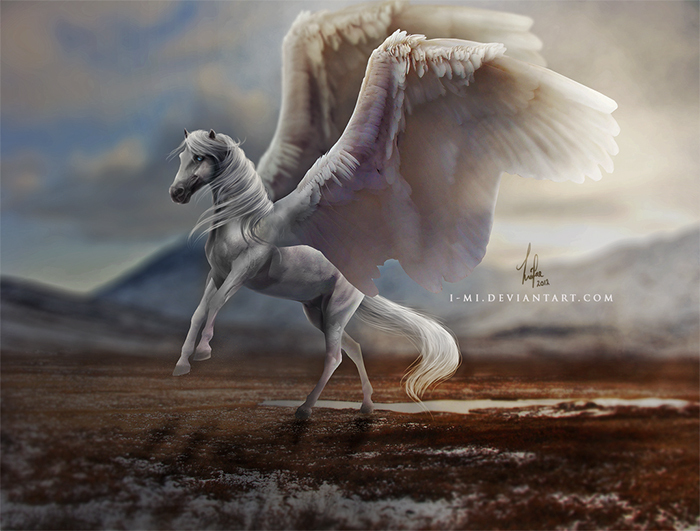 While there, Sohalia participated in a pegasus race, though she performed poorly. Sohalia juggled her newfound responsibilities as Sultana, striving to uphold the peace of the time. Gaucho returned to the Dragon's Throat, and later the two were privately reunited. Kaj and Fiore visit the Dragon's Throat, and Sohalia is met Windwalker and found privacy and contentment. She began plans to create an Academy in the Throat, which she invited Ophelia to join; her plans were cut short by the birth of Rhoa and Ivezho. As Sultana, Sohalia welcomed Faeanne and greeted Ampere. The year ended with unsettling news of an unnatural death on the sky island that the gods had created. Plans for the Academy continued to grow, with Sohalia approaching Tandavi about helping her. Wanting to find out more about Helovia, the Sultana explored the Frostbreath Steppe. With Gaucho home in the Dragon's Throat, the pair were able to lead as a ruling pair. Though his long absences disturbed her, he led well and kept their land and family safe. She was able to extract a promise of love from him. She wondered if he would be able to keep it, but she was not able to find out. A bounty hunter from another land captured her, attempting to bring her to her homeland and force her to mate with the leading Unicorn in an effort to unify the warring nations and ensure loyalty from the citizens. After her escape, Sohalia returned to Helovia and was accompanied by Rasta and Africa to the Hidden Falls to rest. She returned to the Dragon's Throat as quickly as possible, only to find that she had been easily replaced, though perhaps not in Gaucho's heart. She is reunited with him once more as they took part in the Earth God's effort to build a boat. They flew to the Dragon's Throat to warn the herd, then continued to spread word. They gathered water and helped to save the Dragon's Throat tree. They searched for animals to save and finally finished preparing. The land was flooded and wiped clean, and the dove took it as a fresh start, for her and for her relationship. Sohalia spent the next season in the Throat, staying close to home during her pregnancy. Sohalia gave birth to Aelin and Hawke shortly after attending a herd meeting. She helped Hawke find his companion, but soon grew restless. After meeting Mesec and finally growing weary of failing to help her herd, she sought out her mate and Sultan, hoping he would point her in a new direction where she could serve the herd. Sohalia spent time with Hawke in the early days of Frostfall. Soon after, she sparred with Gaucho in an attempt to learn how to be a warrior. However, she failed abysmally and disappeared. Presumably, Sohalia fell through a Rift that had opened on a patrol. However, she doesn't know for sure what happened. One minute, she was on patrol, and the next, she had reappeared many months later. Upon reappearing in Helovia, Sohalia ran into Ivezho, who greeted her emotionally. Hoping to avoid causing her family any more grief, the mare decided not to return to the Dragon's Throat, especially after learning that Gaucho had been siring other children without her around. In her wandering, Sohalia met Tembovu and Kiuaji before stumbling across Kaj in the Secret Grove. It was a particularly bad night; they were both in a great deal of pain. Their union was not one of love, but it resulted in pregnancy all the same. Not yet knowing that she was carrying Kaj's child, Sohalia stumbled across Ragnarok and Tiamat before finding Hawke, who was overjoyed to see his mother. Not long after, Sohalia ran into Ampere, with whom she shared an awkward reunion. While wandering the Heart Caves, Sohalia gifts Ki'irha with a crystallized flower. After finally realizing that she was pregnant, she went looking for Kaj, who was ecstatic to be a father. Unfortunately, giving birth to Aleta was difficult and painful, leaving both mother and child very close to death. Sohalia remained in the Hidden Falls with Aleta and Kaj for some time, but eventually she grew homesick for the warm sands of the Dragon's Throat. One day, when flying too close and reminiscing, she accidentally greeted her emotionally. In the Dragon's Throat, Sohalia was greeted by Megaera, who questioned her desire to return home. Gaucho appeared, reprimanding Megaera for her rudeness; in the end, Sohalia was invited to stay. Sohalia gave birth to Vinati with Gaucho nearby in the oasis. For a moment, she imagined that they might all be a happy family again, able to forgive and forget the past. A few days after being born, Vinati sought Sohalia out to discuss her ability to see ghosts. Amazed and thrilled that her daughter had taken after her so strongly, Sohalia began teaching her all she knew of the spirit world and those who inhabited it. Though afraid to wander, the mare visited the Heart Caves and stumbled across Alysanne, who was trying to salvage her children's ruffled feathers. She crystallized them, preserving them, before returning to the Dragon's Throat. When Parelia came to the Throat to speak of the foal games, Sohalia greeted her - all the while battling mixed feelings about Gaucho, who had also come to welcome the mare. Email: Send Sohalia an email.